This entry was posted in Autumn, Christianity, Fragility, Nature, Poetry, Rain and tagged autumn breeze, connection, nature, photography, rain, relationship, reliance, shape poem, suspended animation, triangle poem. I love the triangle shape. It captures the moment and words so well. 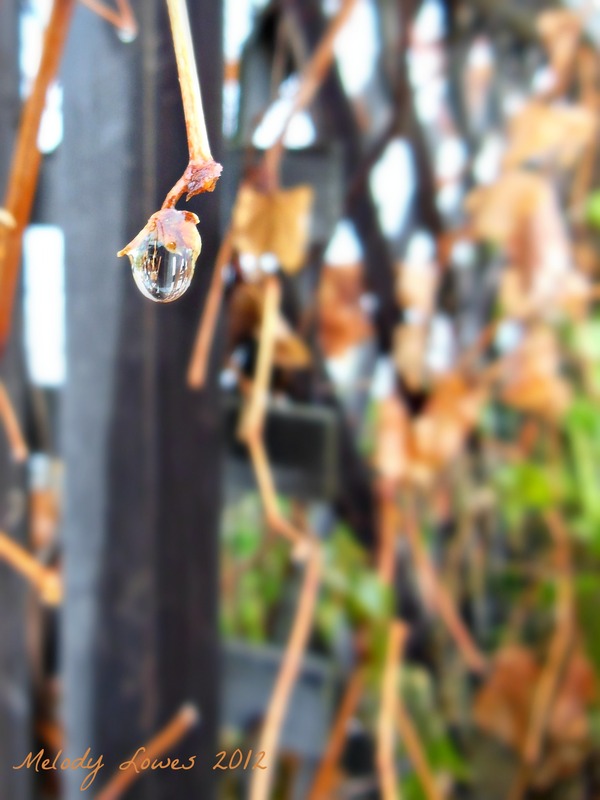 The image within the droplet is great! What a beautiful picture (and poem)! I love this so much and how you ended it about being attached to the vine. So beautiful! And the photo! It looks like glass! God bless you and your special ministry to us! What a perfect poem for a perfect photo! Ahhh, Maaavelous! Perfectly captured photo, and beautiful message again.